“I don’t believe it will happen.” “They could not organise a fire in a match factory”. These are common responses from clients when I mention Directive 2011/16/EU on Administrative Co-operation between EU member states’ tax authorities. This Directive permits sharing of tax data, e.g. the price a German group company charges its British one for goods or services, and woe betide the group if they are not the same. There is nothing particularly new in the sharing of data amongst EU member states – the original Mutual Assistance Directive was drawn up in 1977. 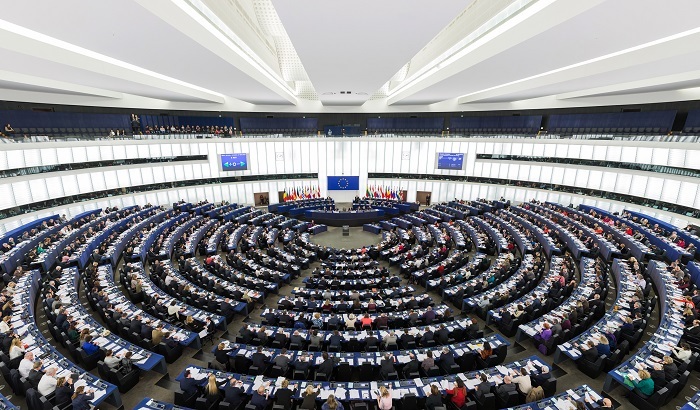 However, from this month, the Directive will also allow member states to exchange data on the ultimate beneficial owner of any EU established entity to another member state’s tax authority. Another common reaction is that even if the tax authorities did share, then there would be too much data for them to cope with, with the view being expressed that “…at the end of the day they are all just bungling under-resourced bureaucrats” (and that is from the well-informed!). That would be true if, for example, HMRC shared every tax file they had with every member state and vice versa, but that is not going to happen. If you are going to shake the tree, or knock on a door, looking for money, make it a big one. So, income tax (which is progressive) and national insurance (which due to its structure is regressive) account for £349bn out of the UK Government’s total projected receipts of £769bn, i.e. 45.38%. There are 29.9m UK income taxpayers (down from 30m owing to higher personal allowances). Of those 29.9m taxpayers, 40% do not pay income tax at all as their income is below the personal allowance threshold. Of the remaining, 18m taxpayers, 99.9% of these contribute 59% of income tax and basically earn under £160,000 per annum. There is probably not much more cash for HMRC to squeeze more out of this group (which reminds me of the case of the man who in his will requested his executors to send a lemon to the Inland Revenue with a note saying, “Now squeeze this!”). Scarily, the top 1% of earners from 0.1%+ to 1% contribute 27% of the bill, (£94bn) and the top 0.1%, i.e. 30,000 people, an average crowd at a Derby County FC match, contribute 14% (£49bn). If you were a business and 41% of your income tax came from 1% of your customer base, you would be very concerned; the usual maxim is 80% of revenue from 20% of your customers. Research indicates that those companies which pay excise duties, which in the One Hundred Club include British American Tobacco Plc, Imperial Brands Plc, Diageo Plc and BP PLC, find up to 95% of their turnover going in taxes, and the rest they use to fund their side-lines, be it tobacco, oil or alcohol. Although not quite achieving the same heights as the above unofficial tax collectors, an honourable mention should also go to the banks (for the bank levy), and the pharmaceutical industry (which pays Pharmaceutical Price Regulation Scheme – not included in the PWC TTC paper, but in my view passes the duck test). 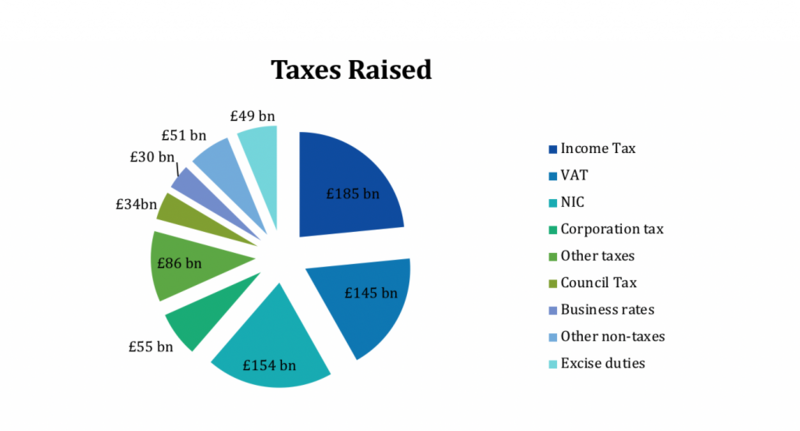 This means that the top 740 companies account for 40% of corporation tax receipts (£22bn). It would therefore not be unreasonable to conclude that if you are a hard pressed tax authority with limited resources tasked with raising additional revenues, you might wish to focus your attention on one of the 30,000 top taxpayers, or one of the 740 largest contributors to corporation tax. This is exactly what HMRC do with their HNW Unit and Large Trader Groups. Sticking to offshore benefits received in the UK, it is fair to say that it is highly likely that only people who use tax advisers declare tax under the transfer of assets abroad (TOAA), or trust gains matching rules. When I wander around the wealthier parishes of London, I can’t help wondering how many latent matched gains there are, or s.733 benefits which the locals have but are unaware of? Ignorance is bliss, but HMRC are now in possession of another tool which will help them fill in some more of the blanks, if they have the time and resource. HMRC have been gratuitous sharers of data with other member states for years. When the UK twisted the Isle of Man’s arm to revoke their Yacht 2000 letter, apparently responsible for the VAT gap of £6bn p.a. [source? ], yacht owners who replied to the questions asked often found that amazingly they had a payroll tax investigation in, say, France shortly thereafter. NB the figure of £6bn “lost” VAT would mean £30bn of sales of yachts for use in UK waters. At an average price of £50m per superyacht, there would need to be 600 yachts sold every year! To put that in context, not only is the UK shoreline not exactly renowned for being the playground of the sea-going rich and famous, there were 441 sales of superyachts in 2017 GLOBALLY!). What, logically, can we expect to happen as a result of Directive 2011/16? Harsh treatment of those who have “irregularities” within their past and have not made a voluntary disclosure to HMRC. But who is on the receiving end will be those 5 categories of taxpayer mentioned above. If you are one, or advise one, then make sure you are up to date with what you need to disclose to HMRC.